This book is about the author, Holli Jenene Hunt, a woman that suffered from low selfesteem and battled with the spirit of lust for several years. How came from being the underdog to being the conqueror. 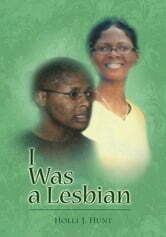 This book will teach, inspire and empower you with a step by step plan to defeat the enemy in conquering the Homosexuality. Open your hearts and minds and embrace truth and allow your spirit to be empowered to move forward victoriously.